I love to ponder life, love, the universe, all its mysteries and the lessons to be learned. I have always hung out in that learning and development space providing training and coaching, predominantly to the corporate sector. My strength is adding my ‘take’ on standard learning around leadership, people and communication. I always said my mission in life was to make the world a better place – one person at a time! I had never really bothered with politics. I grew up in a Liberal voting household, which got shook up a bit when my sister took a turn to the left and preferred the Labor party approach. We all thought she was nuts. Then one day I heard Tony Abbott sledging then Prime Minister Julia Gillard and something awoke in me; the beginning of my focus on the people and parties within our political system. Tony Abbott infuriated me then, and infuriates me today. He is so wrong on so many levels with plenty of evidence when linked to sound leadership, learning and development theory and practice. Why am I writing about a failed Prime Minister? To highlight that if we pay attention, life lessons and learning are all around us and we can all become a better version of our self. I was reminded of the damage Abbott created through intolerance and ideology as I went about attending to the integration of my dogs and chooks. My dogs are the territorial owners and my chooks require safe refuge, and a place to call home. The dogs don’t ‘get’ the chooks, t hey don’t like the way they look or the way they fossick around their yard. They are a little fearful of these strangers and are therefore on constant high alert and ready to put the chooks in their place. I am not sure if either dog would carry through their aggression but it is stressful and unpleasant for the chooks and not a risk I was willing to take. I have had to create an integration strategy. The first point of order was to demonstrate leadership with my dogs in order to modify their behaviour and attitude towards the chooks. This is time consuming and requires effort along with authentic desire for a successful outcome. The simpler path would have been to send the chooks back to where they came from. But I love the fruits of their labour, the fresh eggs and the richer soil through their waste and scratching. Communication is vital to any strategy and certainly underpins strong leadership. Clearly dogs and chooks don’t speak human but communication occurs not just with the spoken word but with actions also. So my communication strategy was to allow the dogs into the chicken coop while the chooks were out roaming, to sniff around, mark their turf and potentially reduce the mystery of these things behind a wire fence. 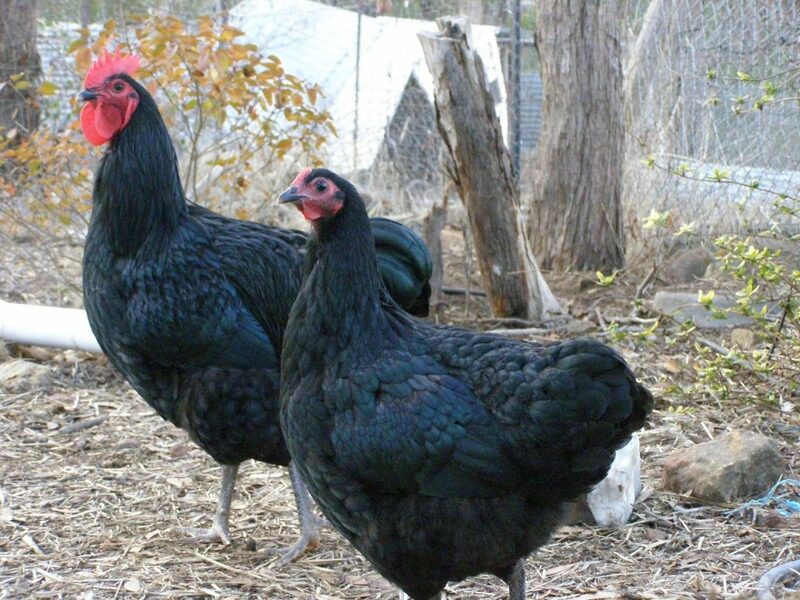 We did this on many occasions until the coop simply became another object in the yard. Then, with the dogs on lead, we stood at the coop gate and allowed the chooks to wander past on their exit into the garden. I would gently tap the dogs to change their state from high alert to relaxed if required. The dogs and I would walk by the chooks, again with me correcting any charge or high alert type behaviour. I would sit on the grass with the dogs and let the chooks come close, all the while demonstrating leadership through a calm, yet strong approach to the dogs if their behaviour was inappropriate. I demonstrated leadership, I led by example. The communication strategy was certainly embedded into the training with the added ingredient of empathy. Empathy is a particularly highly regarded attribute for a leader in an ever-changing world. Empathy is the ability to identify and understand the other’s situation, feelings and motives; to recognise concerns others may have. It is being able to park judgements and see things through the eyes of others. 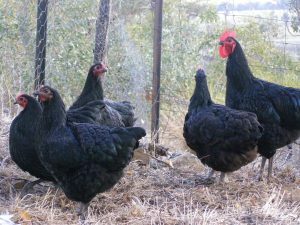 I took the time to understand that my dogs had been the sole animals with me for many years and the intrusion of these chooks was a shock to them. They saw them as interlopers; shady characters that would diminish their worth; take their food and the love of their owner. I had to demonstrate that there was plenty for everyone and that the experience would enrich their lives, not in any way diminish it. So as I would take the food scraps to the chooks I always had treats for the dogs also. As the chooks would scratch for the scraps, the dogs too would seek out their treats in the same way. The final piece of the integration strategy was the stakeholder engagement; ensuring all animals could co-exist with each other safely and in harmony. This piece required analysis of the stakeholders, constant communication and training to plug any identified ‘gaps’. It was absolutely necessary to engage with all stakeholders as each party had different needs and expectations, which resulted initially in inappropriate attitudes and behaviours. It is here that tolerance becomes the key. What started as simple tolerance then grew into relationship and dare I say love or at least mutual respect. Leadership created and grew the tolerance, along with the communication, training and engagement pieces. So I guess the lesson for me is how different might our world be if more politicians demonstrated leadership that provided tolerance for relationships to grow, and differences and fears to diminish?